As a nation, we spend about one-quarter of our electricity budget on lighting, but much of this expense is unnecessary. Technologies developed during the past 10 years can help us cut lighting costs by 30 – 60 percent while enhancing lighting quality and reducing environmental impact. Providing the right amount of light. This decision is based on the type of tasks being performed in the space. Lighting controls provide flexibility in adapting the lighting system to different uses and individual preference, either through dimming or through bi- or multi-level switching. Dimming provides the greatest amount of flexibility in light level adjustment. Providing that light where it’s needed. This entails establishing control zones, which is a light fixture or group of fixtures controlled simultaneously as a single entity by a single controller. Zones are typically established based on types of tasks to be lighted, lighting schedules, architectural finishes/furnishings, and daylight availability. Generally, the smaller the control zone, the greater the control resolution and potential utility cost savings and the greater the opportunity to enable the lighting system to support visual needs. Providing that light when it’s needed - If occupancy is predictable, a switching system can be scheduled to automatically shut off the lights by area, by floor or in an entire building. If occupancy is not predictable, occupancy sensors can be used to automatically turn on and shut off lights in areas depending on whether the sensor detects the presence or absence of people in the monitored area. According to a study from Lux Research, 37 percent of commercial energy in the U.S. is controlled by smart controls, such as a networked building management systems. But compare this with the 1 percent of buildings that use a smart lighting control system, and just 7 percent of commercial lighting energy is controlled by a smart control system. Why the disparity? It’s not that lighting control systems are a new concept, or that their value is unproven – quite the opposite. Lighting is the second largest driver of energy consumption in buildings (behind heating and cooling), and scores of real-life examples over the last 20 years speak to the ability of advanced lighting controls to save money and energy. Yet centralized control systems for lighting is still rare. The expense of lighting control systems is certainly a factor, yet advanced building management systems have managed to justify their expense to become a trusted part of a facility manager’s toolkit. One of the answers has to do with the way the lighting industry has adopted technology standards. Other advanced building systems have come to accept the concepts of interoperability and “open architecture” – using standards that allow products from many vendors to easily communicate with each other. This has helped the building management system vendors gain trust among building professionals, foster innovation, and grow rapidly. Meanwhile, the lighting controls industry has remained stuck in a world of incompatible systems. Most advanced lighting controls systems on the market today can’t talk to one another. Customers buy one company’s control system and are forced to use that company’s specialized sensors, dimmers, ballasts or LED drivers. The communications between these devices is proprietary –- so the devices have to be proprietary as well. While EMS may be capable of provide automatic switching of large blocks of lighting loads, only a fraction of installed EMS actually control lighting, according to the U.S. Department of Energy (2003). EMS that control HVAC are installed in about 5.6% of commercial buildings representing 24% of commercial floorspace—most commonly >100,000 sq.ft. 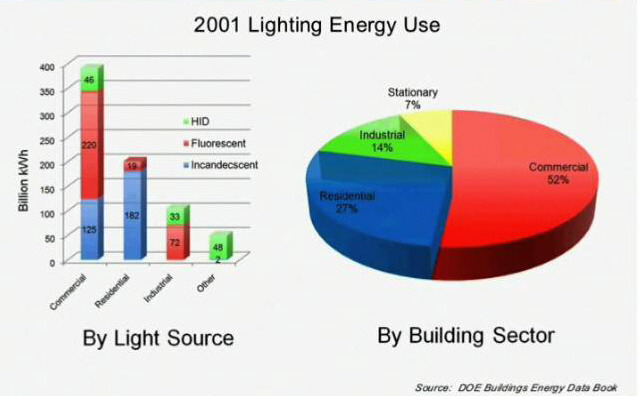 office and education buildings—while EMS that control lighting are installed in 1.3% of buildings covering 7.4% of floorspace. One reason for this may be traditional fragmentation of the construction process, with lighting control specified by electrical engineers (Division 16) separately from EMS specified by mechanical engineers (Division 15). But this is changing due to rising energy costs and the proliferation of energy codes requiring that interior lighting be turned off when it’s not being used. Robust Lighting Control System with a control station, occupancy sensor, photosensor and time switch or centralized switching system providing a variety of inputs to the master lighting controller. The lighting controller can be a switching panel, dimming panel or both linked together. The controller in turn controls the lighting load with a variety of outputs based on decisions made by the logic circuits. Since different control strategies may have overlapping device requirements, control synergies can be gained by building a system of simple components. No daylight is available; the dimmable ballast operates at full bright level (10 VDC). Increasing daylight begins to contribute to the overall light level; the ballast is dimmed proportionally. Sufficient daylight is present to maintain the set-point; the ballast is held at its full dim setting (0 VDC). Daylight levels drop into the dimming range (deadband); the dim level of the ballast is reduced proportionally. Daylight levels fall below the set-point; the ballast is back to full bright level (10 VDC). Ballast – A device intended to limit the amount of current in an electric circuit. It regulates (limits) the arc current and supplies sufficiency voltage to start the lamp. Ballasts vary greatly in complexity. They can be as simple as a series resistor as commonly used with small neon lamps or light-emitting diodes (LEDs). For higher-power installations, too much energy would be wasted in resistive ballast, so alternatives are used that depend upon the reactance of inductors, capacitors, or both. 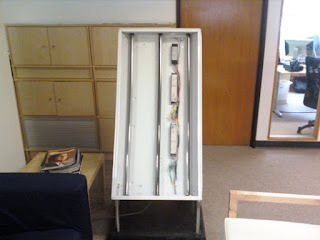 Ballasts can be as complex as the computerized, remote-controlled electronic ballasts now often used with fluorescent lamps. Candela - An SI unit of measure for luminous intensity abbreviated cd. Chromacity – Color Temperature – an objective specification of the quality of a color regardless of its luminance, that is, as determined by its hue and colorfulness. Expression of “coolness” or “warmness” of light source appearance. Measured in Kelvin (K) The higher the chromatic, the cooler the source appears. CRI – Color Rendering Index – A quantitative measure of the ability of a light source to reproduce the colors of various objects faithfully in comparison with an ideal or natural light source. 0 – 100 point scale. DALI – Digital Addressable Lighting Interface – An open standard protocol for the controlling of lighting in buildings, such as electrical ballasts and dimmers. DALI was established as a successor for the still market dominating 1 to 10v and an open standard rival to Digital Signal Interface (DSI), on which it is based. DALI is standardized in accordance with IEC 60929, standard for fluorescent lamp ballasts. Each piece of operating equipment with a DALI interface can be communicated with over DALI individually. Using a bi-directional data exchange, a DALI controller can query and set the status of each light. Using this new standard in lighting control, it is possible to easily combine the installation of existing 1-10v interfaces with the advances of intelligent lighting control. This system closes the gap between previous 1-10v technology and expensive bus systems. The maximum number of devices on a DALI loop is 64. Data Logger - Unit that collects and stores information on the state and operation of ELMS Devices. Day Plan - A standard device schedule element that contains a set of at least 1 or more actions to be performed for a device on a given day. Daylighting –An architectural technique that is a controlled admission of natural light into a space through windows to reduce or eliminate electric lighting when possible. A greater potential to save on electric energy is realized when used in conjunction with automatic lighting controls, automatic shade controls, photocell daylight dimmers near window to control fluorescent fixtures and occupancy sensors via a building automation system. Deadband - The light level contributed by the artificial lights being controlled plus a safety range. Sensors track the deadband in order to ensure that changes in room lighting conditions (lamp aging / burn out, furniture alterations) are compensated for in the sensor’s operation. Digital Ballast - The ballast is the component in a lamp that controls the flow of electricity, which in turn controls the amount of light emitted. Typically, fluorescents only have two modes: off and on. An electrode heats up gases like mercury in the tube and light is produced. Dimmable fluorescents are something that commercial customers have wanted for a long time-roughly 85 percent of commercial buildings in the U.S. rely on fluorescent bulbs.Digital ballasts effectively exploit the inefficiencies of magnetic ballasts, hoary devices devised decades ago, by finely controlling voltage and current. A ballast effectively delivers power to the bulb so that the bulb’s internal gases get excited and create light. Digital ballasts also can flip lights on rapidly. An HID hooked up to a conventional ballast takes about eight minutes or longer to warm up. Thus, HIDs can be turned off and on via motion sensors to cut power. Facilities managers can also use lower wattage bulbs. Ultimately, a digital ballast can also allow HID to better compete against solid state lighting like LEDs. 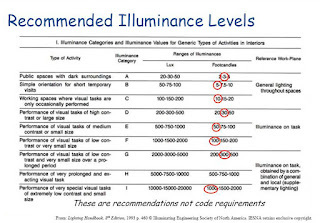 Dim Levels - The setting for the intensity of the light generated by the luminaire. Dual Zone Control - Daylight contribution diminishes as the distance from the source (windows) increases. To address this fact, Dual Zone Control provides control of a second zone of lights via the Percentage Offset operational mode. This mode uses a relative set-point for the second zone that is a user selected percentage higher than the primary zone’s set-point. The sensor is installed in the first zone, and runs in normal closed loop operation. The second zone runs open loop. This operational mode is ideal for classroom applications with individually controlled parallel rows of lights that are different distances from the windows. ELMS - Electrical and Lighting Management System - Any system capable of monitoring, controlling, and communicating certain electrical and lighting system parameters using NTCIP (National Transportation Communications for ITS Protocol). ELMS Device - A device, module, or piece of equipment which contains an SNMP Agent, and is the interface between a component of an illumination system and the NTCIP communication system. The device may be integral to a component of the illumination system. 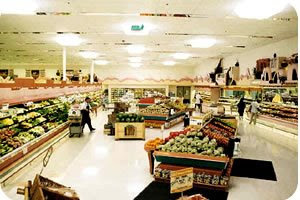 High Bay Lighting - The industrial and high-bay markets represent challenging lighting applications. Illuminating large spaces from afar with low glare and low contrast while also meeting strict safety and hazardous environment requirements can be difficult. Many high-bay LED products are available to provide exceptional lighting quality in a price range that allows for acceptable paybacks from energy savings. LED products are also being produced specifically to meet the demands of industrial spaces. In addition, facility managers are becoming interested in intelligent lighting controls to minimize energy use while enhancing lighting quality. LaaS - Lighting as a Service - As light-emitting diode (LED) lighting proliferates and lighting controls systems expand the abilities of the technology that operates the lights, a related market is emerging. At the same time, a lack of experience with new lighting and lighting controls products is giving way to lighting as a service (LaaS), shifting the way the solutions involved in a modern lighting system are provided to building end users. According to a new report from Navigant Research, global LaaS revenue is expected to grow from $35.2 million in 2016 to $1.6 billion in 2025. Light Harvesting -Utilizes available sunlight thru daylighting systems to fulfill the light level requirements. 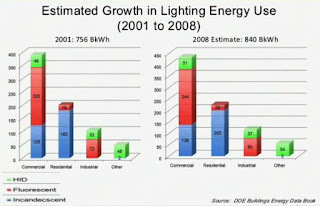 Electric light can augment light levels only when necessary. Light Level Control -Allows the System to control the number of activated lamps to meet the predetermined light level set point when available sunlight is compromised. Lighting Control Sequences – What we want these multiple layers to do. Define how the layers of control interact with each other. For each room, decide how lights should work. Light Shelves - An architectural element that allows daylight to penetrate deep into a building. This horizontal light-reflecting overhang is placed above eye-level and has a high-reflectance upper surface. This surface is then used to reflect daylight onto the ceiling and deeper into a space. Light shelves are generally made of an extruded aluminum chassis system and aluminum composite panel surfaces. Not only do light shelves allow light to penetrate through the building, they are also designed to shade near the windows, due to the overhang of the shelf, and help reduce window glare. Exterior shelves are generally more effective shading devices than interior shelves. 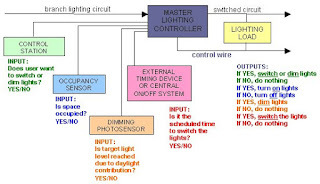 Lighting Controller – Controls lighting according to a pre-set time schedule The lighting controller can be a switching panel, dimming panel or both linked together. The controller in turn controls the lighting load with a variety of outputs based on decisions made by the logic circuits. Since different control strategies may have overlapping device requirements, control synergies can be gained by building a system of simple components. Lm – Lumen – Measure of luminance, total amount of light emitted by a source in all directions. Used to rate the output of lamps. The unit of luminous flux emitted in a solid angle of one steradian by a uniform point source that has an intensity of one candela. Luminance - The intensity of light per unit area at its source. Usually measured in candela per square foot or candela per square meter. Photocell - A light-responding electronic component that enables measurement of incident radiant energy (daylight & artificial light). Photocell daylight dimmers near window to control fluorescent fixtures. Closed Loop Operation - When the photocell in a sensor can view and provide feedback on the lights it controls. 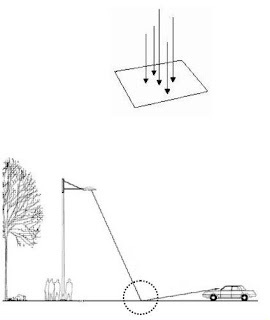 Set-Point - The target light level that is to be maintained. The function of a daylighting control sensor is to measure the amount of daylight available, compare it with the set-point, and then adjust the level of the controlled lighting accordingly. Stagger Interval - The amount of time, in seconds, between switching individual luminaires, electrical services, or branch assigned to a given branch circuit. The intent of the stagger interval is to minimize peak demand. Task Lighting. For example, desk lights. Switched on based on demand. Not typically scheduled. Can be motion controlled. 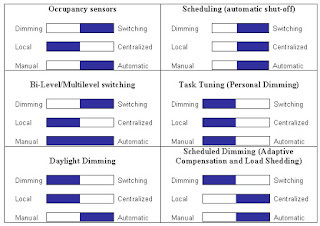 Time-Of-Use-Utilizes time of day scheduling for the opportunity to change the lighting level for different functions. For example a room may be set to provide 50-foot candles when occupied; however, only 25-foot candles are necessary for unoccupied or custodial functions. Sample Strategies: Above are six sample strategies defined according to whether they are dimming or switching, local or centralized, and manual or automatic. A Smart Grid is a key enabler in integrating smart building controls with the goal of peak reduction. Daylighting introduces and controls natural daylight into interior spaces reducing levels of electric lighting, minimizing glare, and optimizing lighting quality. However, Total Lighting Management includes much more than just daylighting. Improved Worker Productivity and Creativity - Good lighting schemes promote good productivity. Natural sunlight reduces building energy spend, improves productivity and improves environment for building occupants. In an efficient office, people can see better what they’re doing, hear themselves think, breathe cleaner air and feel more comfortable. Studies have found as much as 16% more and better work which is worth far more than the total energy bill. Flexible Designs – Building needs to be able to be changed so people can work in different ways. Accommodate restacking without too much cost. Faster Healing - Better clinical outcomes in hospitals. Improved Sales - Well day lit retail shops can find as much as 40% higher sales per square foot. Better Learning - Well day lit schools can find as much as 25% faster learning. Trust - Lighting designers, architects and engineers have been burnt by lighting controls before. Their customers were stuck with control systems that don’t work, can’t be fixed or are too complicated to even try. Their level of trust is low, and needs to be earned. Glare – If we opened up daylighting in an office building to the maximum extent in order to save energy, we would introduce so much natural light that people would be unable to work on their computers. This would decrease productivity. It would not enhance the way we work. Daylighting is only a sub-set of total light management. Tyranny of the Few - Without automatic controls, shades will often find there way down to the ground and they were never raised again. Interoperability Standards If lighting control connections were standardized, the communications between devices would use an open industry protocol – be it a wired one, or a wireless one like ZigBee. Any control system using the standard could take inputs from any sensor or wall switch, and could control any luminaire – LED, fluorescent and other sources. And any vendor can easily build products that work with that standard, increasing their sales opportunities and allowing them to focus on building the best products for the market. Acuity Controls- Conyers, GA - Purchased Adura Technology in 2013. Adura was partly born from research at UC Berkeley, Adura emerged in 2008 with a unit for controlling lights. Adura’s technology uses ZigBee modules. Individual modules are attached to fluorescent or LED light fixtures; these speak to other gateways and controllers and other devices that try to orchestrate lighting in a building.. In September 2009, Adura released the first version of ALPS – the Adura LightPoint System – for commercial sale and hoped to have the lighting for 300,000 to 400,000 square feet of commercial real estate under its control by the end of that year. Daintree Networks - Mountain View, CA and Melbourne, Australia. - Provides wireless lighting control solutions for energy-smart buildings. Wireless mesh networking removes the need for dedicated wiring to deliver controls, and instead send control signals over the air. With wireless, complicated control strategies are delivered simply and at a faster payback, which makes them more attainable for end users. Wireless is especially relevant for retrofit situations, where access to wires within walls and plenums, and introduction of new wires, can be difficult, expensive, and in some cases impossible. Daintree has stood out against its competition by promising to base its light fixture network on the low-power wireless ZigBee protocol, where most competitors have built at least partly proprietary solutions. It’s a testament to the company’s 2003 founding as a maker of software and hardware to test other companies' ZigBee technology. Sylvania Lighting Services, the installation affiliate of lighting giant Osram Sylvania, announced on April 10, 2012 that it will “design, install, commission and support” Daintree’s technology in its projects, starting with a large 320,000-square-foot deployment for a first, unnamed, customer. Digital Lumens - Boston, MA - A pioneer in developing and implementing next-generation LED lighting solutions, Digital Lumens is taking a game-changing approach to the commercial and industrial lighting market. With the introduction of the first Intelligent Lighting System, the company is combining LEDs, networking, and software into a single, integrated system that reduces customers’ lighting-related energy use by up to 90 percent. Echoflex Solutions - Squamish, British Columbia, Canada- Incorporated in 2005, Echoflex became one of the first companies in North America to begin developing products based on a new wireless technology from Europe called EnOcean. EnOcean is a unique technology; integrating innovations in harvesting and storing energy with low-power radio technologies. EnLighted - Sunnyvale, CA - Has developed a lighting control system that is actively aware of environment and lighting needs. A per fixture sensor gives the Enlighted system the granularity to light only the work area needed. It intelligently decides what lights to dim, brighten, turn on or off. With dynamic and adaptive profiles the system can light hallways, bathrooms, and work areas with just the right amount of light needed only where it is needed. Zach Gentry, co-founder of lighting networking specialist Adura Technologies, is now at enLighted, which also makes lighting controls. EnLighted was founded by Tushar Dave from NewPath Ventures. NewPath, founded by Vinod Dham, specializes in Indian investments and has put money into Nevis Networks and others. It installs wireless sensor and control lighting fixtures that are projected to shave 50 percent to 70 percent from anticipated lighting bills, via enhanced occupancy sensing, daylight harvesting and adjusting light levels to suit the specific use of each lighted workspace. Enlighted is doing similar projects for customers including Interface Global, the carpet tile manufacturer. Enlighted’s sensors are providing data to the buildings’ HVAC system from Consolidated Electrical Contractors, allowing the buildings to adjust heating, cooling and ventilation energy use based on temperature readings coming from every lighting fixture. NuLEDs - Carlsbad, CA - NuLEDs PoE lighting connects lighting to the Internet. They provide a link between LED light fixtures and the Internet of Things (IoT). With NuLEDs technology, lighting can be powered over Ethernet, using low-voltage CAT5 cable. The LED light fixtures get an IP address, interact with networked sensors, devices, and mobile users, and become fully programmable. By connecting lighting directly to the Internet, controls can be driven by software. And new apps will make lighting a service. Leviton Manufacturing - Melville, NY - Leviton currently has operations in more than 85 countries on 6 continents, and employs approximately 6,500 persons. Its products include over 25,000 devices and systems, which are used both residentially and in businesses. Leviton helps customers create sustainable, intelligent environments through its electrical wiring devices, network and data center connectivity solutions, lighting energy management systems, and security and automation applications. From switches and receptacles, and daylight harvesting controls to networking systems, intelligent safety controls, and equipment for charging electric vehicles, Leviton solutions help customers achieve savings in energy, time and cost, all while enhancing safety. Lutron - Cooperberg, PA-- The Lutron story began in 1959 when Joel Spira invented the solid state dimmer. Redwood Systems - Fremont, CA - a CommScope company providing intelligent building-performance lighting. Replaces lighting wires and regular light bulbs with low voltage wires and LEDs. Low voltage can't power regular bulbs, but it can be used to power light emitting diodes, or LEDs, in part because LEDs only consume 7 to 12 watts of power. Suddenly, you have a network in your ceiling that every light, smoke detector and other device can link into. The company, has received money from Battery Ventures and others. Founders hail from Grand Junction Networks, the Fast Ethernet pioneer turned gold mine for Cisco when acquired in 1995. Sensity Systems - Sunnyvale, CA - Privately held prior to September 2016 when it was acquired by Verizon. By embedding networking technology and sensors within LED luminaires themselves, Sensity uses energy-efficient LED lighting as the foundation for its turnkey NetSense platform, the first Light Sensory Network implementation. By working closely with developers of software applications and services that run on the NetSense platform, Sensity enables facility and municipal lighting owners to link energy efficiency and cost savings to the improvement of business goals as diverse as public safety, parking control, asset management, and retail analytics. Universal Lighting Technologies - Nashville, TN -- The global leader in ballasts and controls for commercial lighting applications — including LED, electronic linear fluorescent, HID, compact fluorescent solutions and more. Universal Lighting Technologies is a wholly owned subsidiary of Panasonic Corporation Eco Solutions Company and part of the Panasonic family of companies. What if every light bulb in the world could also transmit data? At TEDGlobal July 2011, Harald Haas demonstrates, for the first time, a device that could do exactly that. By flickering the light from a single LED, a change too quick for the human eye to detect, he can transmit far more data than a cellular tower -- and do it in a way that's more efficient, secure and widespread. NTCIP (National Transportation Communications for ITS Protocol) - Object Definitions for Electrical and Lighting Management Systems (ELMS) - An ELMS is any system that is able to automatically control and manage roadside electrical and lighting devices using the National Transportation Communications for Intelligent Transportation Systems (ITS) Protocol (NTCIP). In general, an ELMS is composed of a set of field devices (luminaires, electric circuits, etc. ), that are controlled by one or more management stations (computing platforms). Added to NIST's list of approved Smart Grid standards in September 2009.